Amazing, you are showing images that were in today's paper! how up to date can you be. 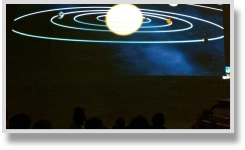 Shows generally consist of computer projected movies (Broadcast quality where possible) and images, set to a classical music background, followed by the sky on the night of the show projected using our planetarium Star Projector. This projector accurately shows the positions of 3000 stars, the Milky Way, M31 (Andromeda Galaxy) naked eye planets and much more, we can also simulate the apparent movement of the stars through a 24 hr period, as well as showing the position of the Sun/Moon throughout the year. 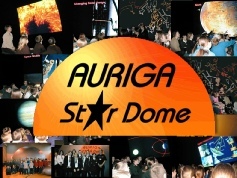 We were one of the first Fully Computerised mobile Planetaria in the UK, and our starfield projection is the most accurate and up to date available. 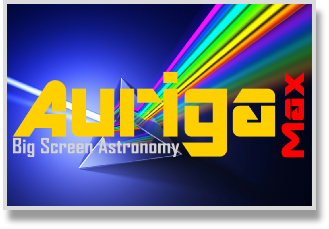 The Majority of our shows are Astronomy/Space Science based, and have been painstakingly researched in association with organisations such as NASA / ESA / ESO etc to ensure our images and information is 100% accurate. Shows last as long as you want them to! but generally public shows last 30 min's, and school shows 45 min's (these times are a rough guideline only. School shows also contain a time set aside for Q&A at the end of the period in the dome (where possible). In environments where it is impractical to use the dome (very very few!) similar content can be projected in a 'lecture style' BUT the stars cannot be shown 'in the round' but projected onto a screen or wall. To compensate for this 'lack of dome' experience, our presenters actively ensure the sessions are as interactive as possible. We try where possible to operate a minimal paperwork' system to ensure you only have 1 form to complete, and our invoice is presented on the day of the show (unless you request otherwise). We try and ensure that we give our clients What They Want not what we want you to see! With minimal disruption to your activities on the day of the show. We thought the shows were very good, and well worth the money. Excellent. Flexibility, Coverage, Interest, Correct Level, Subject Knowledge we all superb. Superb Videos and Bang up to date material. Thank you for your wonderful show. The students really enjoyed it, can we book you for 2 more days this year! The HD Big Screen is amazing…WOW brilliant! As we produce our own movies, and update them regularly (on average twice a year) we can promise you the best available material and the most up to date knowledge. Our contacts around the world ensure we get the best images as soon as they are released (often ahead of public release). Our presenter is skilled at pitching the level of the show perfectly for the ability of the audience, (there is nothing worse than a presenter giving an A level lecture to 7 yr olds and Visa Versa ). We can vary our shows to accurately meet your requirements for specific class needs e.g. concentrate on Moon Phases or Orbits. All our shows include time for Q&A at the end, and where possible the images are accompanied by music (again created ourselves) to further increase the 'WOW' factor of the event. 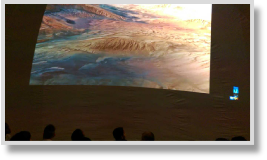 All our video presentations will be FULL HD, and presented in Huge Screen format 5m x 2.5m Screen size (the audience will face an entire WALL of video). 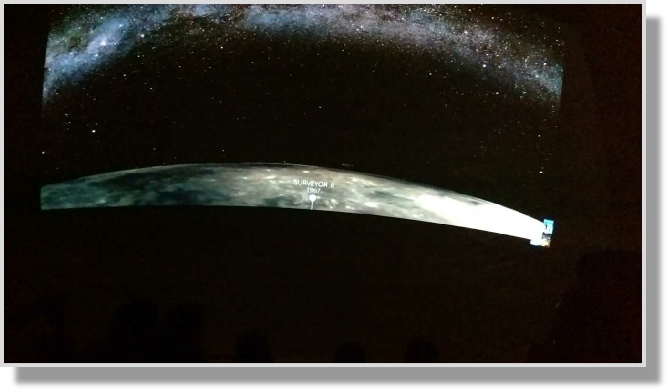 We are the ONLY UK planetarium to use this technology, which allows us to maintain our flexibility in video production (most shows are 100% in house productions) with the best audio visual experience for our audiences. A new menu of shows have been produced, to take into account changes in the curriculum and new imagery from Space(see below). to go to our Sister Site which is dedicated to our Planetarium Activities. Each unique show has is own dedicated page, so you can see in detail what you get together with actual show images and video clips. WE don’t just give you a title of our shows, we show and tell you what they contain!